My mom is a big fan of Chamilia/Pandora beads. She has their traditional metal bracelets and necklaces, and I've even made her a chain necklace for the beads before. 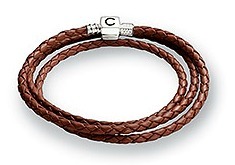 Recently she took a trip to the beach though and saw the newest trend was Chamilia bracelets with braided leather. They were VERY expensive though, so my mom asked me to make her one! It was easy enough to copy. The three stranded braided leather bracelets retail for $45 online. $45 for a little bit of leather???? No way Jose. 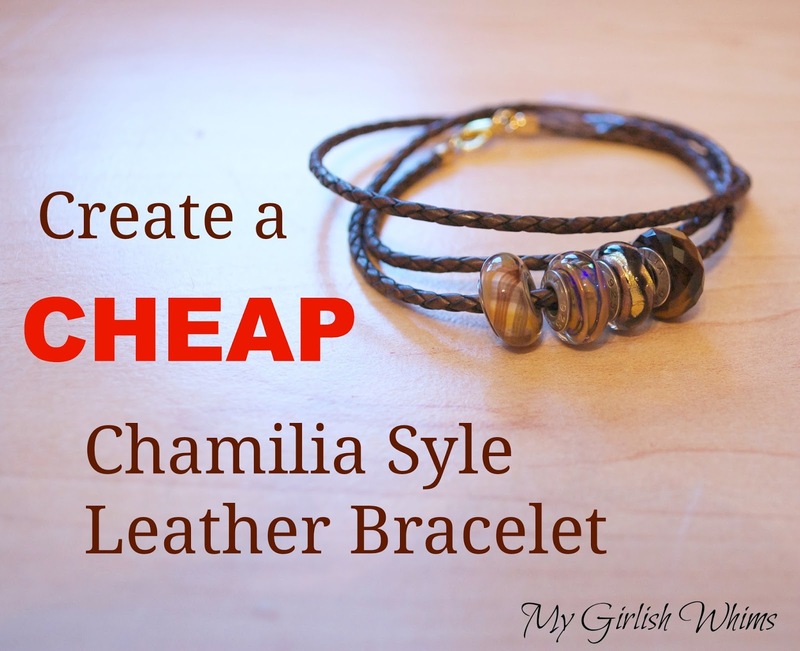 I got some braided leather from Endless Leather that I knew would work perfect to copy this Chamilia bracelet. 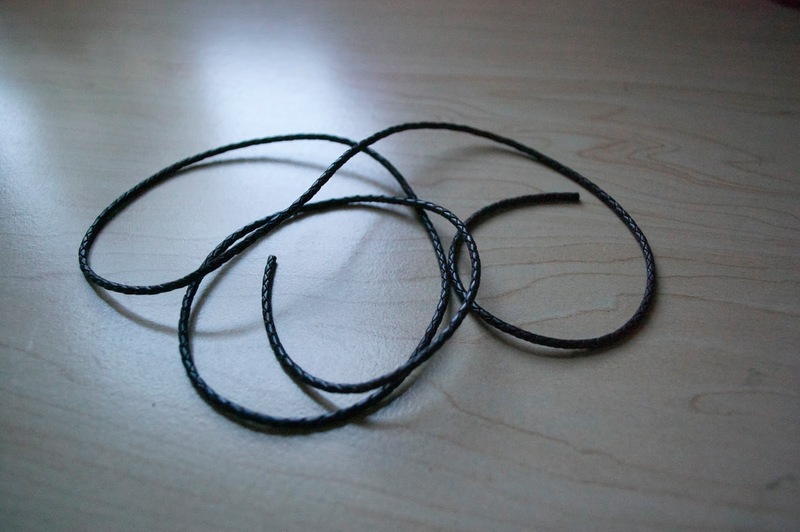 To create a bracelet, I wrapped the leather three times around my moms wrist and cut it to size. I attached end caps to the leather on both ends using E-600 glue. 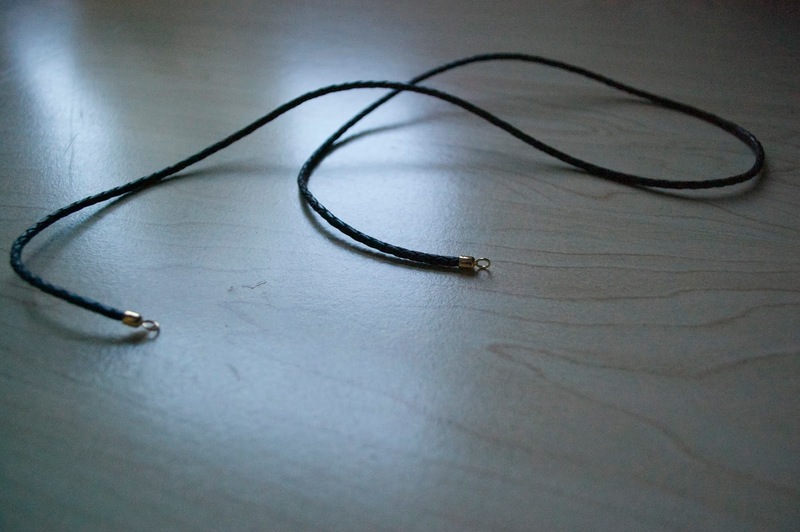 After that I just used a jump ring to attach a lobster clasp to one side. The side with just the end cap is skinny enough to be able to slide the Chamilia beads right over top. It literally took me only a couple of minutes and a couple of dollars to make this bracelet, and I think it looks pretty decent! These kinds of DIYs are the best. 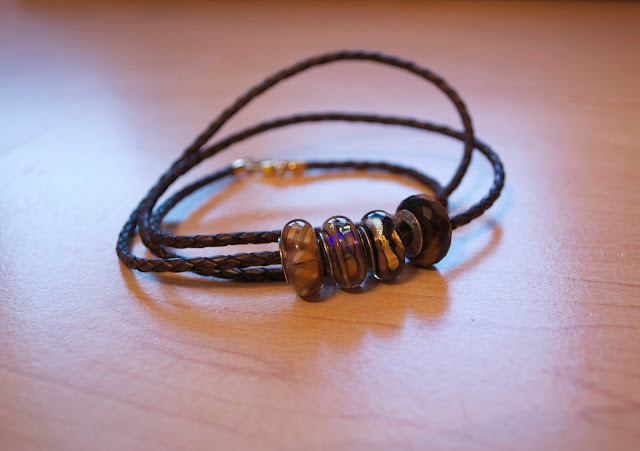 You could make this type of bracelet with other types of leather too, like flat leather lace, or even a single wrap bracelet. Braided leather comes in all different colors too!! Love it and pinned it! This is even easier to make than the Chan Lu-style bracelets. Thanks so much. I'd be honored if you would share this at a blog party I'm co-hosting this month at My Favorite Posts Show off Weekend Party. We go live Friday @ 3pm CT.